Enjoy this sceneic view of your vacation site. 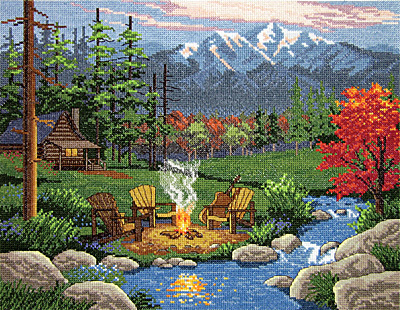 A lovely sunset with a beautifully rendered log cabin and mountain scene. This will bring back memories of your favorite getaways.